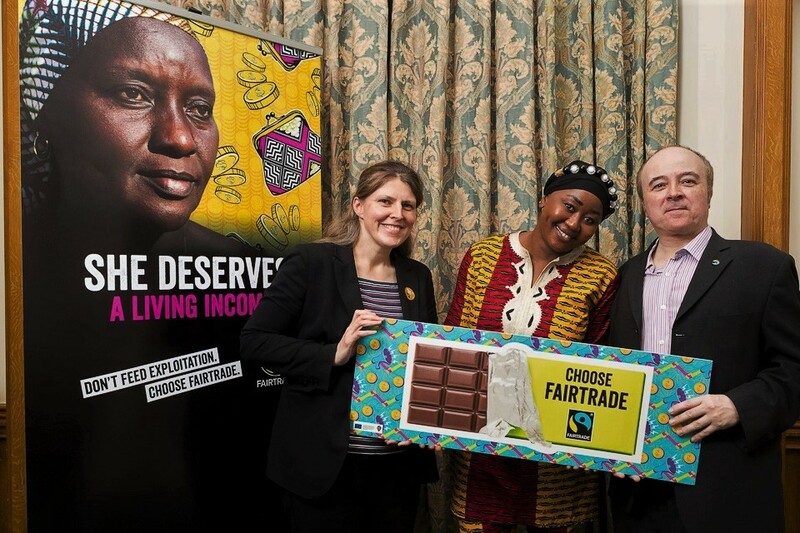 Rachael Maskell MP and Mark Dawson the Chair of the National Campaigner Committee met Ivorian cocoa farmer Awa Traore at Westminster at the Parliamentary launch of Fairtrade Fortnight. Read the full story here. 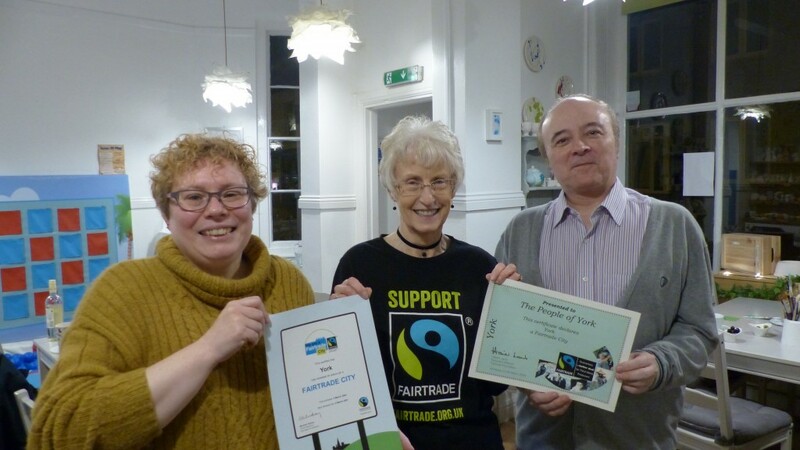 Our Fairtrade Business Breakfast, which was so popular last year, returned to the Spurriergate Centre on Tuesday 5 March. 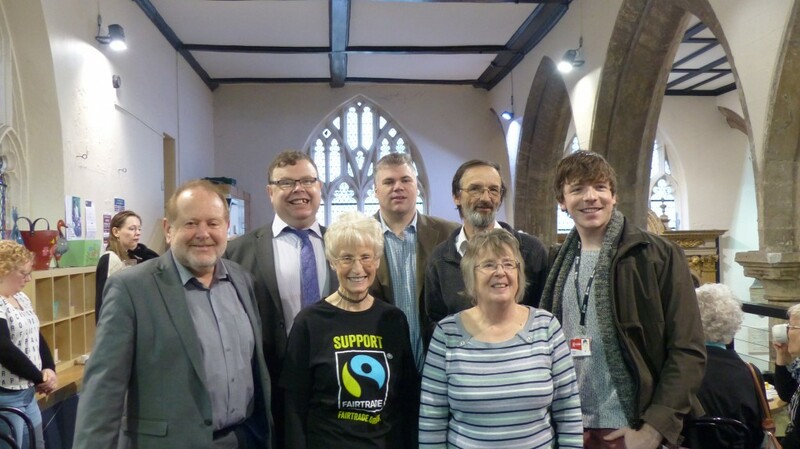 In addition to councillors, business people and representatives of churches, schools and local non-profit organisations we were delighted to be joined by the CEO of the Fairtrade Foundation, Mike Gidney. 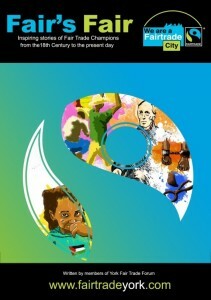 The Spurriergate Centre also hosted a pop-up shop from All’s Fair Tuesday to Thursday 10 – 2.30 both weeks. 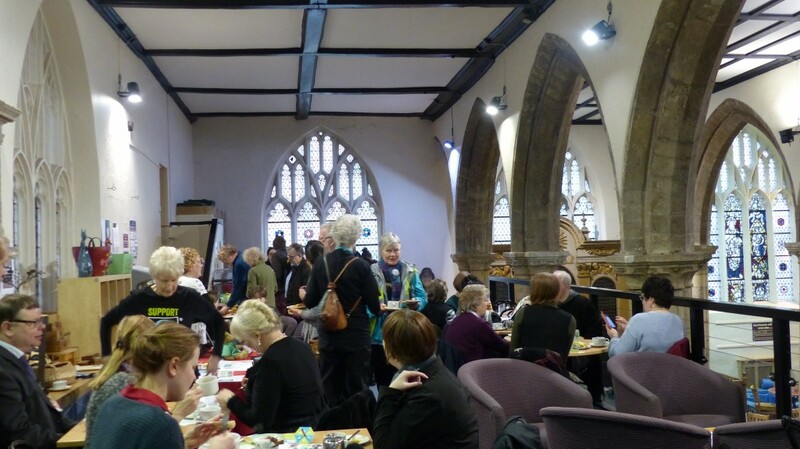 The second week saw a programme of tastings at Fairer World (84 Gillygate) celebrating the contribution of women farmers to the coffee, jam and chocolate we love to eat. 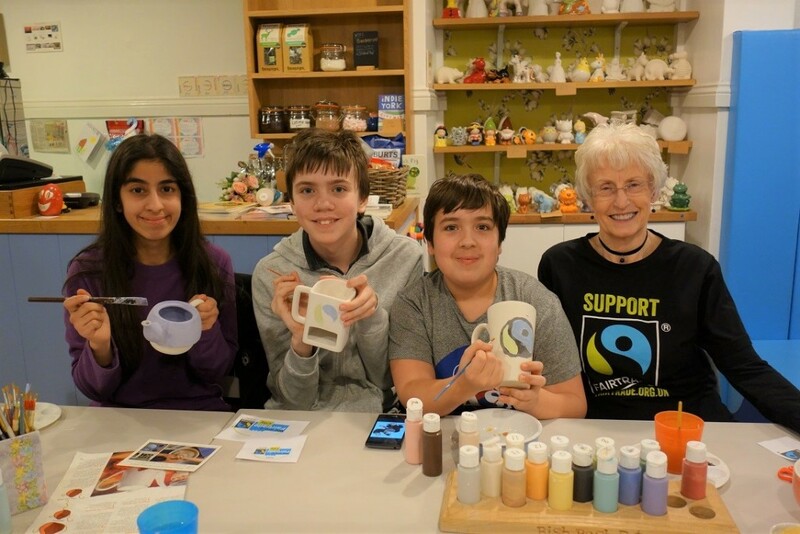 2019 marks the 15th anniversary of York gaining Fairtrade City Status and our 15th birthday celebrations kicked off in style on Wednesday 13 March with our pot painting evening. Our new certificate has arrived – marking our 15th year as a Fairtrade City. 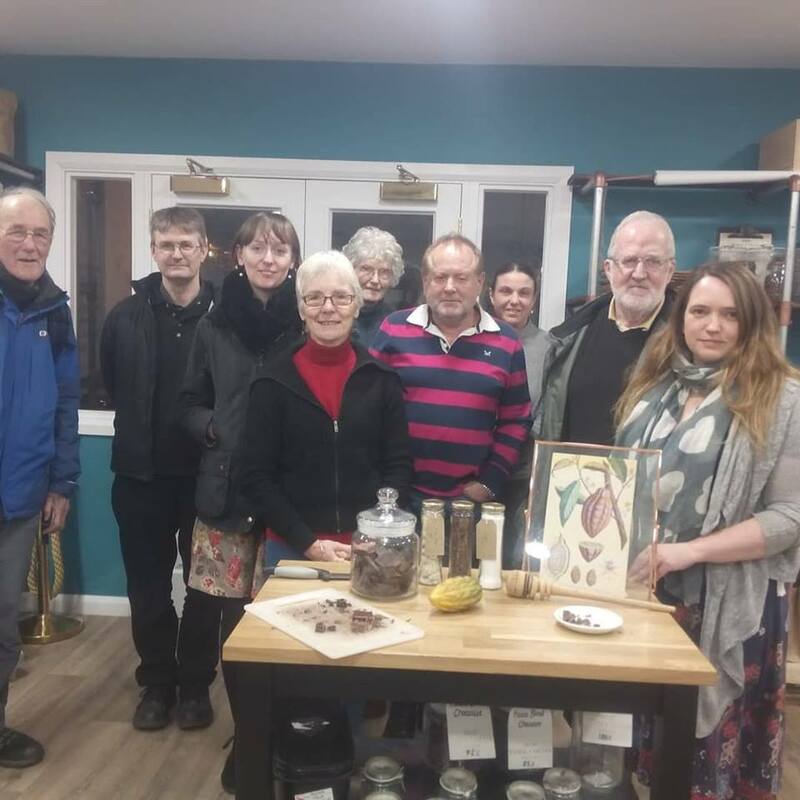 The group visited the York Cocoa Works on Monday 21 January where Sophie Jewett, the Managing Director, told us about the farmers she works with across the world. Most of their cocoa is sourced in the area of South America where cocoa originated, with beans from Colombia, Ecuador and Venezuela, but she also works with farmers in the South Pacific including the Solomon Islands. Each bean gives the chocolate a distinctive taste and working direct with farmers allows them to get the best price for their crops as well as giving Sophie the highest quality chocolate. The shop and cafe are open on Castlegate 8.30 – 6 and you can book chocolate making workshops to find a bit more about what goes into making your favourite treat. There is nothing like a nice cup of tea… But have you ever thought about where your tea comes from? Many popular British blends include tea from Assam in India, where the people who picked it – most of them women – are paid poverty wages and live in appalling conditions. The ‘Big 6′ British tea brands – PG Tips, Twinings, Typhoo, Yorkshire Tea, Tetley and Clipper – are well aware about this but aren’t doing enough to challenge it. We won’t let them get away with this anymore. Please add your voice by asking the brands: Who picked my tea? To make your message more powerful, add a sentence on why this issue matters to you. Your email will go to all six brands’ customer service teams, but if you get a response from the brands, please let us know: campaign@traidcraft.org. To find out more about the campaign, visit: www.traidcraft.org.uk/tea-campaign. World fair Trade Day is a chance to celebrate the artisans and craftspeople who make the fair trade crafts, gifts, homewares and fashion we love. These goods aren’t crops so they can’t be Fairtrade but many come from workshops, factories and collcectives which are members of the World Fair Trade Organisation. Shared Earth is a member of WFTO and you can buy their goods from their shop at 1 Minster Gates. You can also buy goods from other WFTO members like Traidcraft from Fairer World on Gillygate. 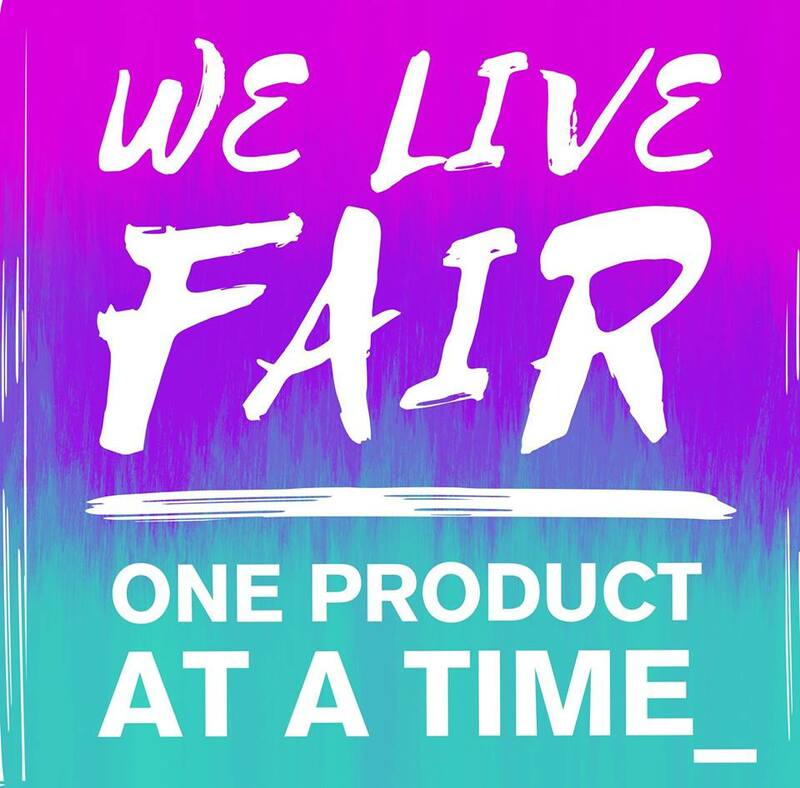 With WFTO fair trade products we can live fair, one product at a time. Do you ever see Fairtrade/fair trade goods somewhere you didn’t expect and feel pleasantly surprised? Why not write to let them know you noticed and support their decision – if nobody comments on what they stock, they may start to think it’s fair trade provenance isn’t import and stock something else instead. So, whilst it’s always good to mention it when you’re there in person, an email or letter often gets to the person who makes the decisions and provides a more lasting token of thanks and support. You can see the Forum’s template letter here – we’re planning to send them to outlets along with a couple of our window stickers. Details of our book, Fair’s Fair – Inspiring stories of Fair Trade champions from the 18th century to the present day, and information on how to purchase it, can be found here. You can also download a FREE set of Teaching Notes for use alongside the book for anyone working with children, either as an editable document or as a pdf (better version for printing). 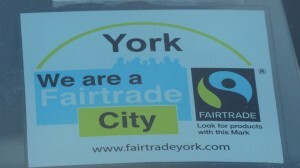 See the Forum’s Fairly Traded York trail guiding you round the beautiful and historic city centre and exploring its fair trade links here.